Revolutionise your office colour production. Ricoh MPC 8002. You need innovative technology that helps you excel in the marketplace. 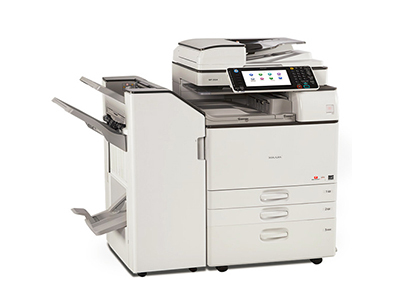 Which is why Ricoh have designed the all-in-one MP C6502SP/MP C8002SP. They effortlessly accelerate your workflow with benchmark output speeds and supreme image quality. Along with enhanced media handling capability and ease of use for everyone, they lead the way from start to finish. And help your business do the same.